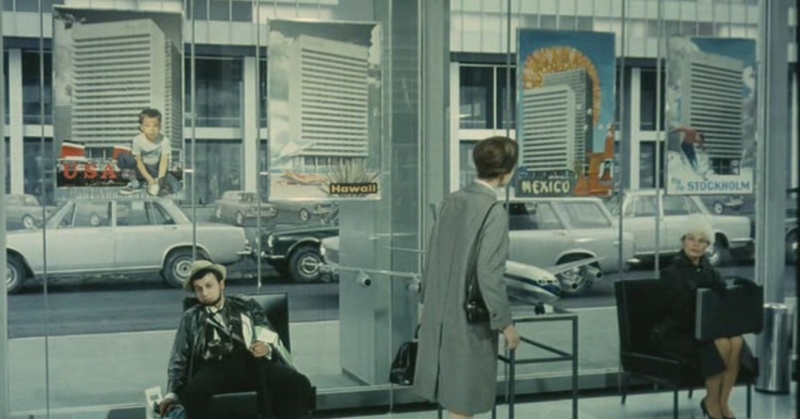 A woman inspects some travel posters in Jacques Tati’s PLAYTIME (1967). This entry was posted in Architecture, Movies and tagged Jacques Tati, modernism. Bookmark the permalink. Love that movie. Tati was, in some ways the French Kubrick. Only way slower.